We know when it comes to safety, there is no compromise! That is why the Land Rover lineup, including the 2017 Land Rover Discovery Sport, features a variety of innovative safety features. This system senses lane drift which can indicate driver inattention. It can help the driver steer the vehicle back into the lane of travel. DCM monitors driver input for signs of driver inattention. If driver inactivity is detected, the system sounds an alert. This is very helpful for situations where the driver has become drowsy or distracted. Drivers will be warned of potential frontal collision thanks to a camera on the front of the vehicle. When a potential collision is detected, an audible and visual warning is sounded. If driver does not take action necessary to reduce the collision potential, the system can actually apply the brakes as needed! Changing lanes in traffic can be a challenge but this system helps reduce the risk of missing a vehicle in your blind spot. When a vehicle in the blind spot is detected, an icon displays on the door mirror to alert the driver. The system also has a Closing Vehicle System that warns the driver of a quickly approaching vehicle during lane changes. 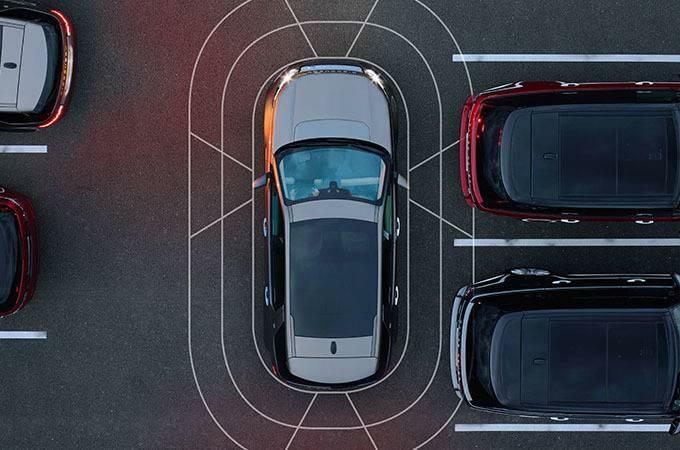 Take on parallel and perpendicular parking, even in tight spaces, with the help of this system. Driver chooses the correct gear and controls speed while the system provides necessary guidance. This 360-degree camera view is valuable for so many situations including towing and parking in tight spaces. It also helps the driver see things that are below the sight line such as when parking near a curb. Land Rover Colorado Springs has a great selection of the Discovery Sport available at our Colorado Springs location in Motor City. Stop by today and let us introduce you to these amazing safety systems plus all of the other innovations on this sporty SUV. Take a test drive and experience the features and power of the Land Rover Discovery Sport!